I just got this really convenient Reflect mirror by Mirror On A Rope. This is just what it says, it’s a reflective mirror and it is attached to a long rope. The mirror is not glass though so you don’t have to worry about it cutting you or breaking. However it’s just as reflective as a real mirror. So it works great if you need a light-weight portable mirror. I love that it’s on a rope so you can easily wrap it around your neck, tie it to your backpack or shower bag, and just generally carry it anywhere. It’s really easy to travel with. I got this for my teenager to stick in her shower bag when she goes to camp because the place she camps at is outdoors and they don’t have a very nice bathroom, they take a shower in an outdoor bathroom that’s not very nice. So she needed to have a little mirror she could use to do her make-up and hair in her tent. It’s really great for camping and traveling purposes. *Fog Free When Used According to Instructions. Measures 6″ by 4 3/4″. See for yourself why Mirror On A Rope’s patented design dominates the Amazon list of top 10 and top 20 highest rated shower mirrors. INCLUDES a Removable STAINLESS STEEL wall mountable HOOK rated for holding 3 Lbs. while the mirror is under 3 oz..
Unbeatable reflection quality when you hold it when you shave to eliminate shadows. See the infographics. Hang it from the wall or a shower curtain rod and easily adjust it’s height or hold it in your hand for optimal lighting. The mirror includes an adjustable mildew resistant 550 paracord rope. I just got this really convenient Reflect XL by Mirror On A Rope. This is just what it says, it’s a reflective mirror and it is attached to a long rope. The mirror is not glass though so you don’t have to worry about it cutting you or breaking. However it’s just as reflective as a real mirror. So it works great if you need a light-weight portable mirror. I love that it’s on a rope so you can easily wrap it around your neck, tie it to your backpack or shower bag, and just generally carry it anywhere. It’s really easy to travel with. I got this for my teenager to stick in her shower bag when she goes to camp because the place she camps at is outdoors and they don’t have a very nice bathroom, they take a shower in an outdoor bathroom that’s not very nice. So she needed to have a little mirror she could use to do her make-up and hair in her tent. It’s really great for camping and traveling purposes. Our largest shower mirror. Measures 7 5/8″ x 5 5/8″. 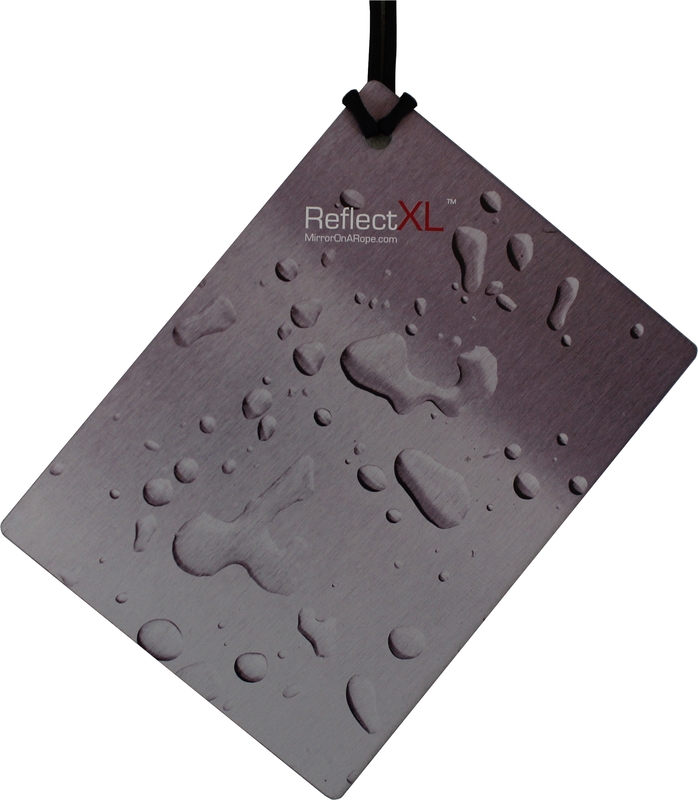 Now INCLUDES a REMOVABLE STAINLESS STEEL HOOK for hanging the mirror from any shower wall. It takes the frameless shower mirror to a new level of durability and makes the best use of existing shower lighting. 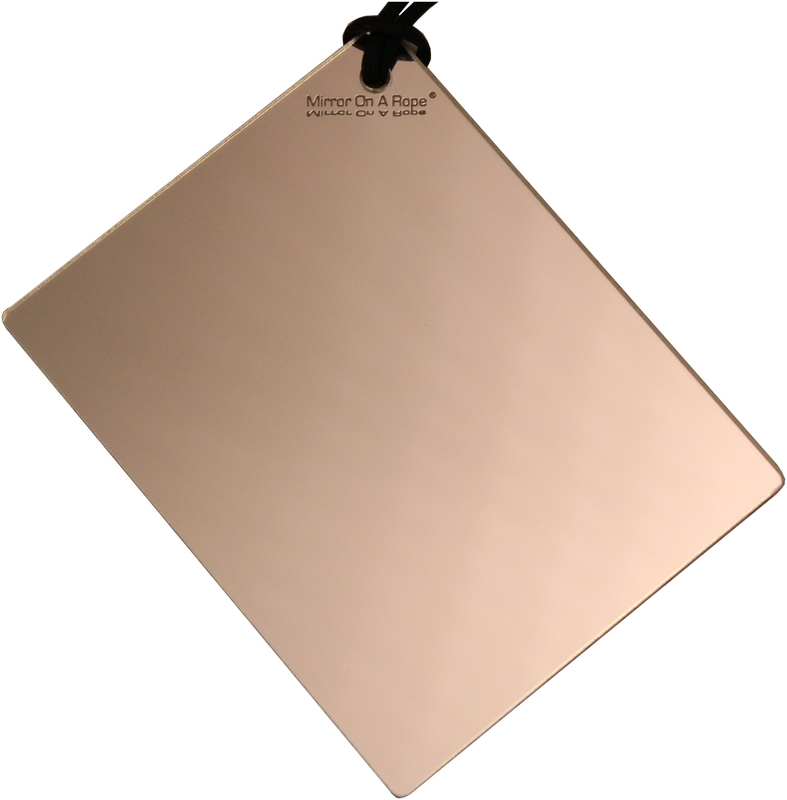 Fog free shower mirror that hangs from an adjustable black paracord more than 5′ long. A shatterproof acrylic mirror with a scratch resistant print on the back. *Fog free and shadow free when used according to directions. The rope allows you the freedom to take the mirror out of the shadows. You can purchase this mirror on Amazon!